Back in the late 1980s when I conducted the first round of interviews for my oral history book about the LGBT civil rights movement, I often found myself saying in response to the brave things people told me they did: “That took courage.” And virtually every time, the person who sat across from me said: “That wasn’t courage, I was angry.” They were angry at what had been done to them and what had been denied them and were determined to fight back so no one else would have to experience what they did. But as I came to understand, anger wasn’t the only emotion that inspired people to take risks and challenge the status quo. There was also love—the right to love and be loved for who we are. It drove people to risk seeking out others like themselves, to challenge laws that criminalized their love, and to fight for rights that would secure and protect their love for one another and their children. Love, for LGBTQ people, is by definition political—whether we like it or not. 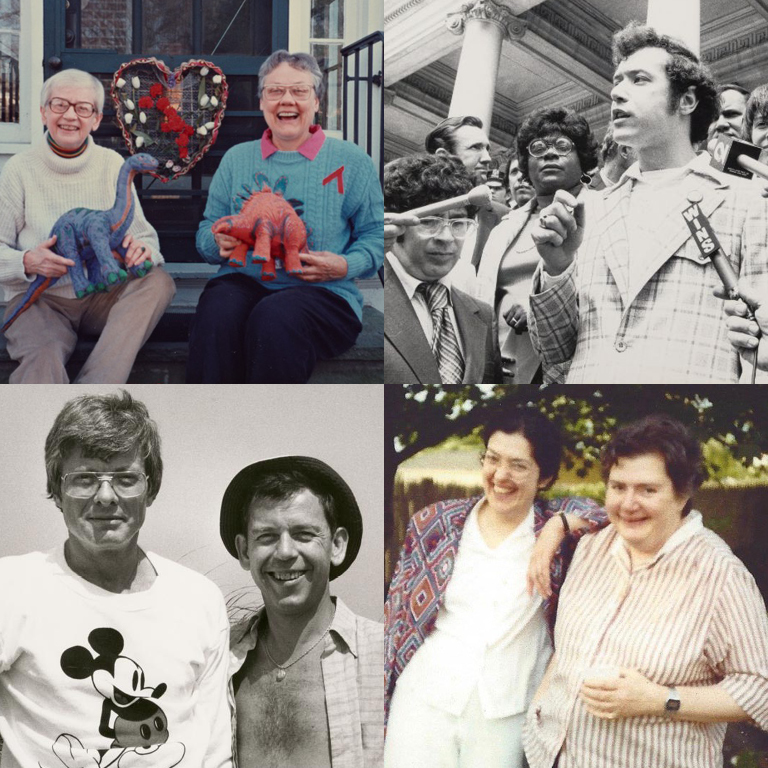 The four love stories we present in this special Valentine’s Day bonus episode come from people who took high profile roles in the LGBT civil rights movement in the 1960s and ‘70s. On most days we celebrate their their contributions to the movement. In this episode we get a peek into their hearts with stories of cautious love, the loss of a love, love sickness, and first love. To learn more about the four people we feature in this episode—Nancy Walker, Damien Martin, Kay Lahusen, and Morty Manford—have a look at the notes that follow below. 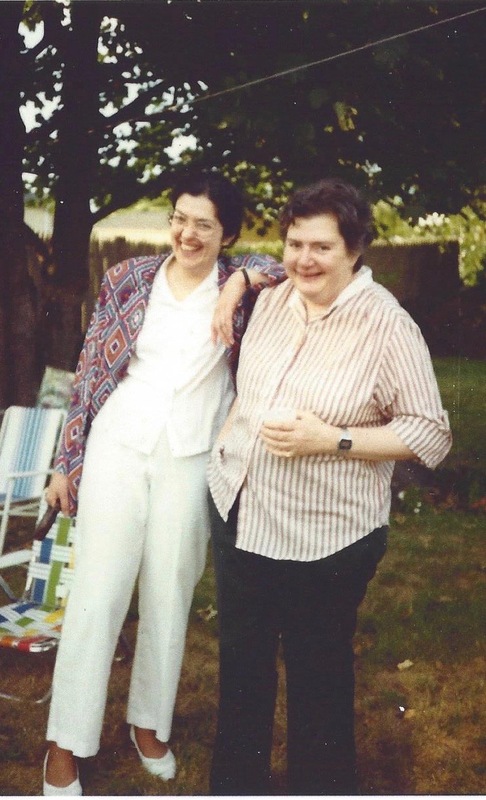 Nancy Walker (right) with the love of her life in their backyard in a leafy neighborhood just outside Boston, Massachusetts, 1987. Nancy Walker met the love of her life in 1962, but it was nine years before the two women found their way to an an organization in Toronto (where they were living at the time) that provided counseling, legal work, and social events to the LGBT community. Nancy signed on as their vice president for a couple of years and her partner volunteered as program chairperson. After returning to Boston in 1975, Nancy discovered Gay Community News (GCN), a national newspaper that had been published since the early 1970s. A year later, the Jewish forty-one-year-old from New York City volunteered to work at GCN. It was an instant generation gap and culture clash. Yet somehow Nancy went on to become the newspaper’s only columnist and a moderate voice at a newspaper that prided itself on its radical left politics. Most of Nancy’s columns were about her relationship. As she explained to MGH host Eric Marcus in a 1989 interview, “It was sort of like the Perils of Pauline, personal essays, or whatever happened during that week… One of my favorite columns was the one about ‘A’ people and ‘Z’ people always getting together. I squeeze the toothpaste from the bottom of the tube very carefully. [She] just goes shoosh!” Nancy wrote her GCN column, “Odyssey of a Unicorn,” until 1984 and then went on to write for another Boston publication, Bay Windows. Nancy Walker died from complications of breast cancer on May 20, 1996. She was 61. Nancy’s surviving partner still lives in the house they once shared. You can read about Nancy’s contributions to the LGBT civil rights movement in Eric Marcus’s book, Making Gay History. 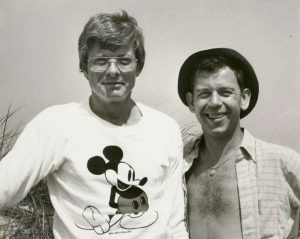 Emery Hetrick (left) and Damien Martin at the beach, mid-1970s. Credit: Carlos S. Martinez, Courtesy Manuscripts and Archives Division, New York Public Library. Damien Martin died from complications of AIDS on August 15, 1991. He was 57. He outlived his beloved Emery by four-and-a-half years. You can learn more about Damien’s many contributions to the LGBT civil rights movement in an upcoming episode featuring Damien during Season Two of Making Gay History. You can also read about Damien in Eric Marcus’s book, Making Gay History. Barbara Gittings and Kay Lahusen met in 1961 at a Daughters of Bilitis picnic in Rhode Island. The self-described “gay fanatics,” spent much of their adult lives fighting for the rights of LGBT people and were among the few activists whose involvement spanned from the “homophile” 1960s well into the “gay liberation” 1970s. But in the aftermath of the June 1969 Stonewall riots in New York City, Barbara and Kay found themselves challenged by younger activists new to the movement. And that’s where the dinosaurs in the photo come in. 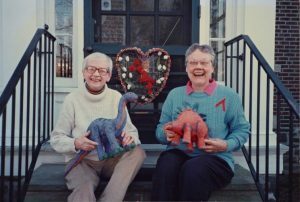 To learn more about Kay and Barbara, have a listen to their episode in Season One of Making Gay History and explore the show notes. We also recommend Frank Kameny’s episode and show notes in Season One. 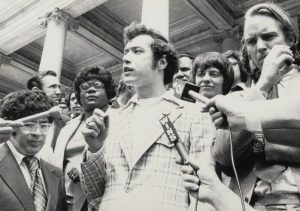 Morty Manford talking to the press on the steps New York City Hall, 1970. Credit: Bettye Lane, Courtesy Harvard University, Schlesinger Library on the History of Women in America. Eighteen-year-old Morty Manford was at the Stonewall Inn on the June 1969 night of the infamous police raid. But it was a police raid of the Snake Pit bar a year later—which left an Argentine national impaled on a fence—that inspired Morty to join GAA (Gay Activists Alliance). Throughout the 1970s Morty took on a major role in the protests that challenged discrimination and police repression. It was at one of those protests in 1972 that Morty was assaulted by Michael May, president of the New York City firemen’s union. 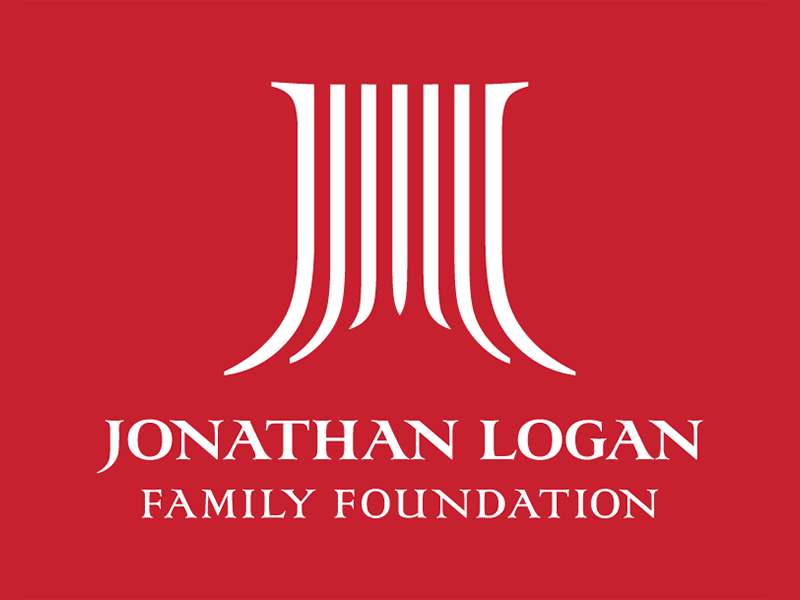 The brutal beating drew Morty’s mother, Jeanne, into the fight for equal rights and together Morty and Jeanne founded an organization for parents of gay people that is now known as PFLAG. Morty Manford died from complications of AIDS on May 14, 1992. He was 41. His survivors included his mother, Jeanne, and his sister, Suzanne Swan. To learn more about Morty’s activism and his role in co-founding an organization for parents of gay people that became PFLAG, have a listen to Morty and Jeanne Manford’s episode in Season One of Making Gay History. You can also read about Morty’s contributions to the LGBT civil rights movement in Eric Marcus’s book, Making Gay History. I’m Eric Marcus and this is a special bonus episode of Making Gay History. Back in the late 1980s, over the two years that I interviewed people for my book, I found there were two emotions driving people to do what they did in the fight for equal rights. One was anger—over discrimination and disrespect. And the other was love—the right to love and be loved for who we are. We’re releasing this on Valentine’s Day, but whenever you hear it, think of this as a love letter. We’ve reached into my stack of audio cassettes to bring you some moments from a few very special love stories. About cautious love. The loss of a love. Love sickness. And first love. Nancy Walker had been burned before. She’d fallen head over heels for a woman who couldn’t love her back. But then she met someone who melted her heart and she couldn’t quite believe it. Eric: Interview with Nancy Walker, Sunday, December 10, 1989, at the home of Nancy Walker in Jamaica Plains, Massachusetts. Nancy: And then this one. She was too tall and she was gawky. She was still a kid. And she had a dreadful haircut. And all her clothes were wrong. I was sure she had this man who was interested in her. She used to write him these long letters by hand on yellow lined paper. And I remember looking at those and thinking, Oh, my god, she’s going to get involved with him and I better prepare myself because this is not going to work. But it did. Nancy: I wasn’t sure that the bubble wasn’t going to burst and that you weren’t going to disappear on me. Because it was too good to be true. Eric [Narration]: When Emery Hetrick died in 1987, the New York Times obituary described the love of his life, Damien Martin, as his “companion of the last 12 years.” To me that sounds like they were talking about his cat. Damien and Emery founded an organization that was one of the first to support LGBTQ youth. 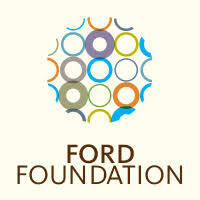 It was originally called the Hetrick Martin Institute for the Protection of Lesbian and Gay Youth. Today, it’s known as HMI. But if you’d asked Damien, he’d tell you that their greatest accomplishment was their love for each other. Damien: Emery was the first person in my life that um, that I was able to trust completely, completely. No reservations. Emery really fulfilled my life. Uh, it ended too soon. It ended before I ended, which is bad. But at the same time it’s something that, um—gee, I sound like something out of Reader’s Digest—it’s something that nobody can take away from me, we’ve experienced. And Emery and I talked about this right before he died that with everything we were still so glad, so happy that we’d gotten together before we died, you know. I used to tease him because we were both older when we met, that, you know, we just saved the best to last, that was all. People have said to me, “Well, you must have been relieved when his suffering ended.” And I wasn’t. Eric: Uh, uh. They didn’t know. They had no idea. Damien: No, uh, I mean, I um, toward the end he was very sick and I really had to take care of him. And I feel privileged that I was there to do it. And it was another level of our unity, if you will. All the worst times during his illness were not so bad as not having him. Eric [Narration]: In season one, you heard legendary activists Kay Lahusen and Barbara Gittings talk about how they met and fell in love. But decades before that, Kay was a teenager with a secret that just about swept her away. And I remember my grandmother—I was actually raised by my grandparents—I remember my grandmother saying that I couldn’t just lie there. I had to do something. I would either have to go to a doctor or I would have to have Christian Science treatment. You have to recognize I was raised in a Christian Science, partly, household. So, I have always hated doctors, so I said, “Alright, I’ll have a Christian Science practitioner come and pray over this.” So, of course I wasn’t about to tell her what I was agonizing over. So… but I remember I finally brought it to a head within myself. And I just decided within myself that I was right and the world was wrong and that there couldn’t be anything wrong with this kind of love. That the world was just totally wrong about this. And I got well. I had a quick healing. Eric [Narration]: Do you ever forget the first time you fell in love? That exhilarating terror mixed with breathless excitement? I remember and it was the first time in my life that I felt normal. And like Morty Manford, I was seventeen the first time it happened. Morty was a lawyer, a co-founder with his mom of PFLAG, and a fierce advocate in the fight for LGBTQ rights in 1970s New York. But before Morty became an activist, there was that certain summer of 1968. Morty: I used to go into Manhattan and walk and walk, hoping that somebody would come sweep me off my feet and make mad passionate love to me. Eric: There were a lot of us wandering around Manhattan thinking that. Morty: Well, it happened. I was seventeen. He was already eighteen. And he was a beauty. And started talking to me and he was very colorful and, uh. We were talking about the world and social issues and uh. We must have spent six or eight hours that night just walking and talking and sitting down. Eric: You hadn’t discussed gay stuff and you hadn’t messed around. Morty: No. We walk into this bar. It was called the Old Vic. It was all men in the bar and they were all dancing together. I was just sort of standing there amazed and delighted and anxious and then he turned to me and asked me to dance a slow dance. Eric: And what did you say? Morty: I said yes. 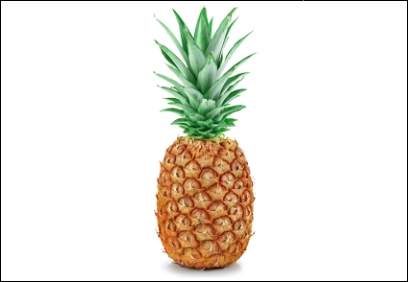 Your greatest desire and your greatest fear all in one. I knew I wanted to dance with him. And we danced. Eric: Do you remember what the music was? Morty: I can’t sing. But good thing this is all in print. Eric : It’s a moment that stays with you. Eric: And so you came back here. Morty: And the fireworks were in the sky that night. “Yes, Grandma,” I said, “Someone special to love.” And soon after, when I introduced Grandma to my new special love, she embraced him as a grandson. Thanks to everyone on the Making Gay History crew for this bonus episode, including our executive producer, Sara Burningham, our co-producer Jenna Weiss-Berman and Bari Finkel from Pineapple Street Media. And thanks to the New York Public Library for archival assistance. A special thank you on this Valentine’s Day to my special love of twenty-three years, who has been unwavering in his support and enthusiasm for the Making Gay History podcast from day one. I know I haven’t always made it easy for you, but I love you more than anyone on earth. We’ll be back next week with a taste of what’s to come in Season Two. In the meantime, if you want to read more about what happened to the people whose stories you’ve just heard, head to makinggayhistory.com. And make sure you subscribe on iTunes, Stitcher, NPR One, or wherever you get your podcasts. Happy Valentine’s Day from all of us at Making Gay History. We’re grateful for all the love notes you’ve sent us and we send you our love in return.